Welcome to the Connecticut Public Radio FAQ! My livestream isn’t working right. What should I do? If you have an old version of a streaming app, you might need to reinstall it. Our streaming service changed in fall 2016, and that threw off some streaming services. If you’ve done that and the stream still isn’t working, it might be down temporarily. 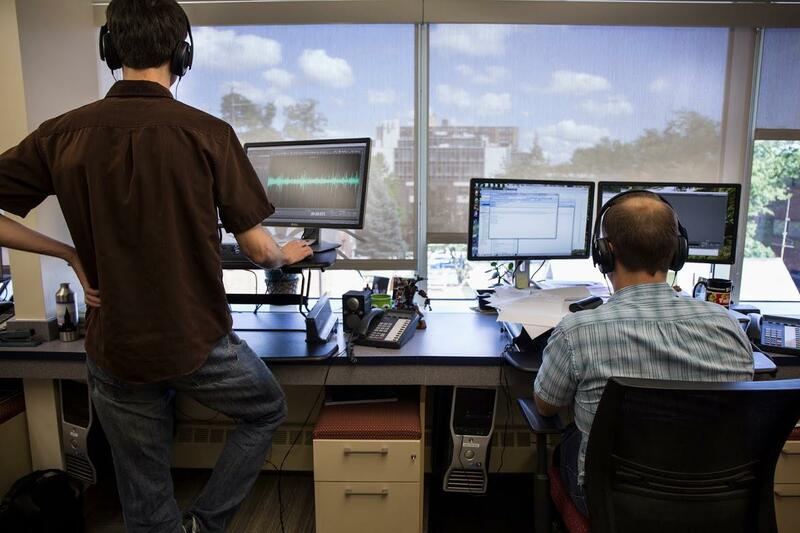 If you’d like us to help you troubleshoot, email us at wnprinfo@wnpr.org. How can I listen to Connecticut Public Radio if I am not using a terrestrial radio? There are many ways to listen to Connecticut Public Radio via mobile devices and streaming apps. One of the easiest is to go to WNPR.org and click on the play button at the top of the site. If you want to try an app, install NPR News and go to Stations, and ask the app to locate Connecticut Public Radio for you. Another app to try is the PRX Public Radio Player. There are several good listening apps out there and new ones crop up all the time. If you’re listening through iTunes, you can access the live radio stream here: http://playerservices.streamtheworld.com/pls/WNPRFM.pls. Last, try NPR One for continuous news that mixes NPR with Connecticut Public Radio content -- and you can find podcasts of all our talk shows there, too. Get the app or listen on the web. NPR also suggests other ways to listen that don’t involve a radio. I heard something on Connecticut Public Radio but can’t find it on your website. Can you help me? If you know the name of the show you were listening to, look at our list of programs: http://wnpr.org/programs. Many shows have their own websites and we don’t have every audio segment on WNPR.org. I heard something on Connecticut Public Radio and want to respond. Where do I send my comment or question? Not everything broadcast on WNPR is produced by Connecticut Public Radio. If you know the show you want to respond to, contact its producers directly. See the list of programs heard on WNPR here and find the contact link on individual show pages: http://wnpr.org/programs. If you'd rather call, you can reach the newsroom in Hartford at (860) 275-7272 or try the New Haven bureau at (203) 776-9677. And if you'd prefer to email our newsroom generally, send your remarks to news@ctpublic.org. I want to contact one of your talk shows during a live broadcast. What number do I use? We take calls during live broadcasts of Where We Live, The Colin McEnroe Show, and The Wheelhouse. Call (860) 275-7266. You can also reach the shows on Twitter or Facebook, including during live broadcasts. See the individual show pages for the link: http://wnpr.org/programs. If you're trying to reach Faith Middleton, you can call the New Haven bureau at (203) 776-9677. How can I contact your talk shows if it’s not during a live broadcast? Email is the best way to make show topic suggestions. Find an email address for each show, a contact number, and names of producers on the program page for each show. I want to become a sponsor on Connecticut Public Radio (or another Connecticut Public property). How do I learn more? Please take a look at our media kit for sponsors and advertisers. And thank you for your interest! I have a news story to pitch to Connecticut Public Radio. How can I reach you? Email works best for our busy newsroom. Send your pitch to news@ctpublic.org and it will reach our team. We can’t promise a response, but we appreciate your pitches and will be in touch with you if we want to follow up on your idea. Who do I contact about my donation to Connecticut Public Radio? How do I get to Connecticut Public Radio? Go here for detailed directions.